The cleaning industry in Singapore has grown and become very lucrative owing to the increased demand for cleaning services. This makes choosing the right contractor an uphill task. A cleaning contractor has to be reliable, flexible and most of all genuine. It is therefore important to understand all that pertains to choosing a cleaning contractor in Singapore. Do not just settle for a contractor without doing some background check. Research, go to the internet and get all the information you need. Most credible contractors do have websites of their own where you can find out all important details concerning them. You will also be able to know the scope of the services they offer. While researching online also focus on the customer reviews. Customer reviews offer an insight to what experience clients have with a particular contractor in the past. A good contractor will have tons of positive reviews while a bad one mostly has negative ones. Once you have done your research and have a number of companies in mind, talk to friends, colleagues or relatives. Ask them if they have ever heard of these contractors, if not then let them recommend to you the ones they know. Getting a contractor that has worked for someone you know is better because it will actually feel like you know the company yourself. Besides you will find out if they really do provide the services they mention and even how they handle your property while cleaning. It is important that you match the needs of your company to what is offered by the cleaning contractors recommended to you. For example the level and type of cleaning required in a home totally differs from that needed by a huge multinational company. Even if the contractor simply deals with businesses, office cleaning needs may vary from one business to another depending on the facilities and equipment available. 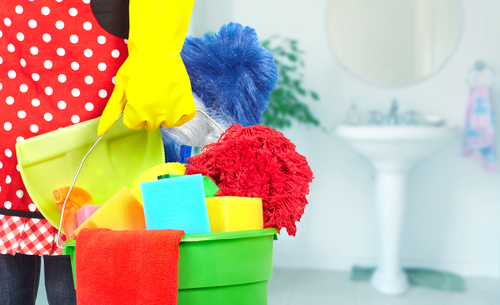 Singapore has small, medium and large sized cleaning companies offering janitorial services at different levels. As such work that can be handled by a large company will not be suitable for a small company and vice versa. There will be disparity in terms of the number of staff, equipment used and even cost. Having matched the needs of your company to various cleaning contractors in Singapore, it is now time to choose one. When doing your selection, pricing is very important since you can be over charged. Some contractors rip-off their clients knowing too well they are ignorant of the prevailing rates. The only way to be informed of the prevailing rates is to get quotations from different suppliers. Obtain at least three quotations and compare the rates offered by each. You should not necessarily go for the lowest bidder but ideally the cost should match the services offered and should be in line with what others are charging. If there is a little disparity then the contractor should explain why. Also know if they will charge you for extra hours, if the staff do not finish the work within the agreed time. In Singapore most cleaning companies do this, so it is important that you get to know that in advance. From the quotation you will also get to know the different packages offered by various companies. You can therefore choose a package that conveniently works with your preference and budget. Singapore is a country with vast industries. As such no one cleaning contractor can meet the needs of all these industries. There are companies that have experience in cleaning residential, dealing with medical wastes and chemicals, washing equipment used by manufacturing industries and others normal business premises. It is important to know what sector that contractor is experienced in. also check the number of years they have worked in that industry and their performance track record. Do not shy away from asking these, after all it is your money. You may not understand the methods used but ask, because they may not be suitable for your household or office equipment. Also confirm that the contractor does not use chemicals that may be harmful to the building occupants. The business must be operating legally. It has to be registered with the authorities. A cleaning contractor who is registered has definitely complied with all the rules and regulations governing that industry. Also the owner and employees must have the required credentials that qualify them to do such tasks. Insurance is very crucial for any contractor. Accidents may occur at workplace and a staff may get injured or die. It is therefore necessary you confirm that the contractor has insured the staff. This will exempt you from shouldering any liabilities. Ensure that the staff from your preferred cleaning company understand all health and safety policies in Singapore. These policies change from time to time so they should be trained regularly. If a contractor has solid health and safety policies in place the better for your premise and its occupants. Some contractors will ignore the need for a contract. However insist on one because it is the only document that governs your relationship with the contractor. It is the only way to ensure both parties stick to their obligations. When you finally sign the contract the deal is sealed. Ensure that the contractor has included all the issues you agreed on in that contract. All the terms and conditions have to be very clear. A clean environment is what everyone desires for, whether at home or work. 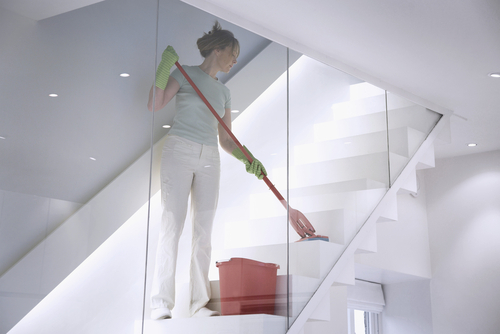 However cleanliness that is guaranteed and offers reliability is only offered by a professional cleaning contractor. Remember that both level of services provided and compliance with legal regulations should be considered when choosing a cleaning contractor.